ZIMBABWE’s major internet service providers have pegged their broadband services in United States dollars in response to measures announced in the 2019 Monetary Policy Statement (MPS) presented in February. In the MPS, Reserve Bank of Zimbabwe (RBZ) Governor Dr John Mangudya re-introduced the inter-bank market, shifting from the 1:1 rate between the US$ and the RTGS dollar. The MPS separated the two currencies and pegged the exchange rate between the USD and RTGS dollar at 1:2,5. In different statements, privately-owned ZOL Zimbabwe and Liquid Telecom including the State-owned TelOne said their prices were now US$ indexed. “TelOne would like to advise that our tariffs and charges will remain unchanged in US dollar terms. We will, however, have tariffs and charges indicated in RTGS,” the company said. 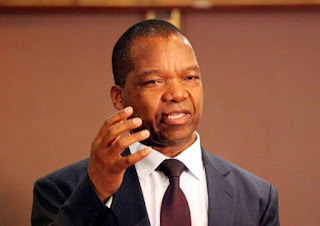 The parastatal indicated that its home basic package costs US$15 and RTGS$37 for 10 gigabytes (G) while the infinity pro package for 500 G is going for US$89 and RTGS$222,50. Its uncapped package is pegged at US$120 and RTGS$300. The difference in prices has been drawn from the inter-bank rates. TelOne was this week quoted by an online publication, TechZim, saying they had not increased their prices but all along the rates were in US$ and due to the introduction of a new currency by the MPS, they were simply listing their US$ prices in RTGS dollar equivalence. On the other hand, Liquid Telecom, said their price alignment will take effect from April 5. “Pricing of all our products and services will remain unchanged from our existing US dollar denominated base price when payment is made in US dollars. When payment is made using the RTGS dollar, the payment will be converted at the rate of 2,5,” reads part of a statement from Liquid Telecom. ZOL Zimbabwe has also noted the adjustment of prices pointing out that they were a fair reflection of the MPS. “ZOL is excited to announce the increase of data to all capped packages as of April 1, 2019. “This effectively decreases the price of data per GB. ZOL understands that data is crucial to you and believes that this will enable you to get the best out of your usage and gain even more value,” it said. The Internet service provider said it has not changed the US dollar “base” of their pricing.